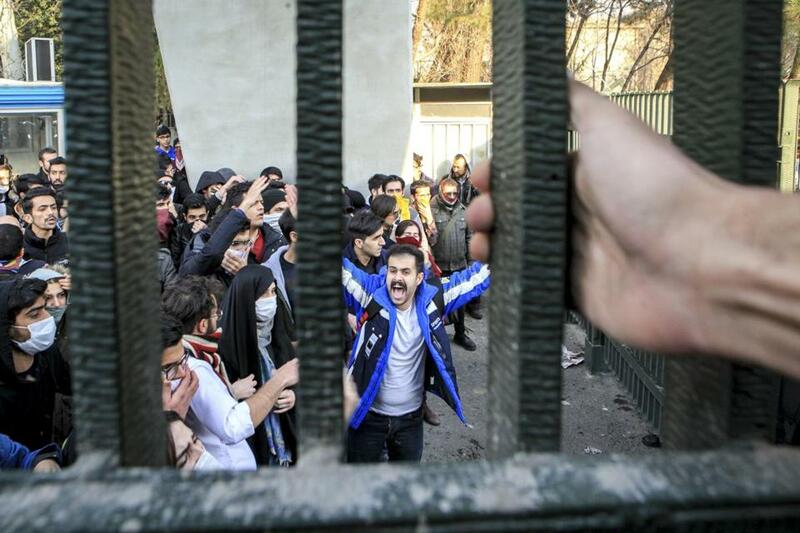 Students attended an anti-government protest at Tehran University on Dec. 30. Whenever trouble breaks out in Iran, adrenaline rushes through Washington. Hearts pound excitedly at the Pentagon, the CIA, the White House, and Congress. In recent weeks, reports of street protests in several Iranian cities have triggered this Pavlovian response. Once again, however, Americans who have spent decades hoping for an explosion in Iran are disappointed. “Regime change” is not imminent. More important, we should not wish for it. A sudden collapse of Iran’s governing system would be bad for us. It would set another Middle Eastern country aflame and feed the instability that breeds terror. Iran-haters — meaning most of official Washington — cackled in delight at news of the protests. President Trump said they showed that Iranians were “finally getting wise.” His ambassador to the United Nations, Nikki Haley, exulted that “the long-repressed Iranian people are now finding their voice.” Senator John McCain praised “the brave protesters who yearn for freedom.” None of these figures has been much of a defender of oppressed Middle Easterners. Concern for human rights is not what leads them to encourage upheaval in Iran. Their goal is to weaken America’s Middle East nemesis. Anyone who believes this, and who sits at a pinnacle of power, might logically want to promote instability in Iran. That would be a mistake. If the United States is sending covert aid to the latest group of Iranian protesters, or considering doing so, it should stop. Few peoples are as sensitive to foreign interference as the Iranians. In the 19th century Iran lost vast territories to Russia. Later the British brazenly looted Iran’s oil wealth. In 1953 US officials promoted a coup in which the country’s parliamentary democracy was overthrown. This history has left a residue of fierce independence. Iranians instinctively reject political movements that they see as tools of foreign power. We’re about to witness a real-life test of an Iran policy that eschews diplomacy and embraces confrontation. Aid from the United States to any Iranian group would likely be uncovered. That would disqualify the recipient from further participation in Iranian public life. It would also highlight the hypocrisy of American outrage over Russian intervention in our own politics. American officials should not use this burst of protest in Iran as an excuse to intensify covert action there. Contrary to our wishful delusions, Iran is a fully functioning state. It is not careening toward the abyss of instability. Street protests there draw our attention precisely because they are rare. The grievances behind them are genuine, but they have no central leadership and offer no coherent alternative to the religious regime. In any case, Iranians have watched American intervention devastate several Middle Eastern countries, including their own. They have demonstrated no desire for the kind of “regime change” that Washington begins imagining every time a rock is thrown in Tehran. 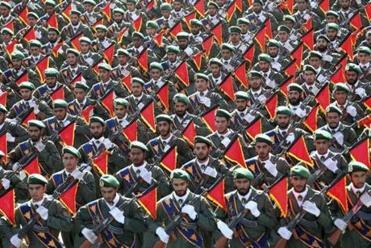 Iran is the strongest counterweight to American power in the Middle East. It limits our ability to impose our will. From Washington’s perspective, that makes it an enemy. In fact, however, no vital interest requires the United States to help shape Iran’s future. History decrees that any Iranian government must be strongly nationalist and a vigilant defender of Shiite Muslims everywhere, so the idea that “regime change” would produce a more pro-American Iran is a fantasy. The security of the United States will not be seriously affected by the course of Iran’s domestic politics. Nor, despite what Mattis and others have said, will our security be affected by the results of Iran’s jostling with other powers in its neighborhood. The role Iran ultimately plays in Syria, the nature of its ties to Lebanon, the scope of its influence in Yemen — these disputes will drag on interminably. There is no need for the United States to take sides in any of them. Doing so is a guarantee of perpetual engagement. In 1980 President Carter proclaimed that any challenge to American dominance of the Persian Gulf would be considered “an assault on the vital interests of the United States of America.” He was driven by the global imperatives of his era. Much of America’s oil came through the Persian Gulf, and the West could not risk losing it to Soviet power. Today there is no Soviet Union, and we no longer rely on Middle East oil. Yet although the basis for our policy has evaporated, the policy itself remains unchanged, a relic from a bygone age. We still insist on dominating the Persian Gulf. It is time to let go. Resisting the temptation to meddle in Iran after this month’s protests would be a good way to start. Stephen Kinzer is a senior fellow at the Watson Institute for International and Public Affairs at Brown University. Follow him on Twitter @stephenkinzer.